Irena is an Occupational Therapist who has been working with children since graduating from The University of Sydney in 2003. Irena has a special interest in treating children with Autism, Sensory Processing Disorders, learning and developmental disabilities. Irena gained experience and expertise in this area through several years of employment and mentorship from some of the leading therapists in the field. She is an owner and the Principal Therapist at The Family Connections Sydney in Bangor. Irena gained certification in the RDI® Program and has been working with families since 2007. The RDI® program has formed a strong framework for Irena’s therapy approach and her model of OT practice. 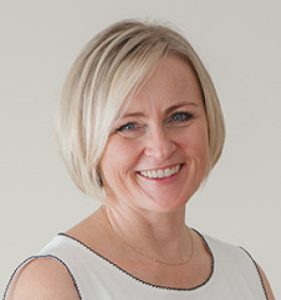 In 2015 Irena ceased her work as an RDI® consultant, focusing mainly on her role as an occupational therapist, providing centre based therapy, school support, social skills programs and parenting programs. Irena treats each child as an individual and prepares treatment programs which reflect child and family centred goals. Family is an integral part of the intervention process. Paediatric Occupational Therapy treatment programs focus on achieving functional independence through therapeutic interventions addressing perceptual motor skills, strength and coordination, sensory processing, and self-care activities. Irena regularly updates her skills through continuing education, workshops and other post-graduate opportunities. She combines the best practice approach with the latest research findings to provide the highest quality treatment to her clients and their families. Irena has completed an intensive mentorship training program on Sensory Processing Disorder with Lucy Jane Miller, Ph.D at The Star Center in Denver, Colorado.